The EUR/USD currency pair continues reaching new local maximums, however, the RSI indicator is still below the trend line, we should expect it to rebound and start moving downwards. In general, we should expect the start of the descending movement. 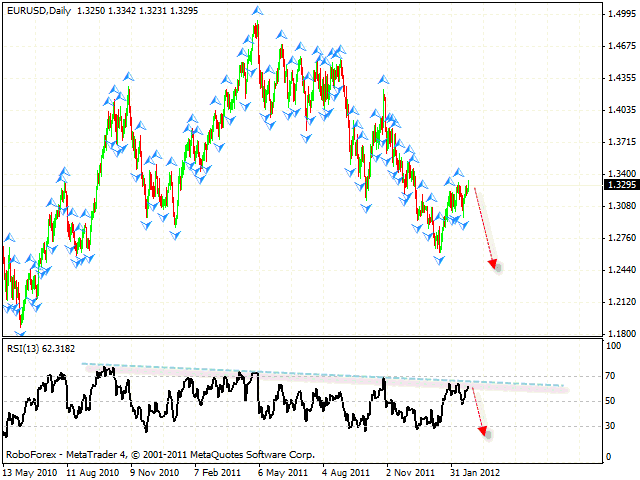 One can consider selling Euro when reversal signals appear at shorter time frames. Pound continues moving inside the descending channel. 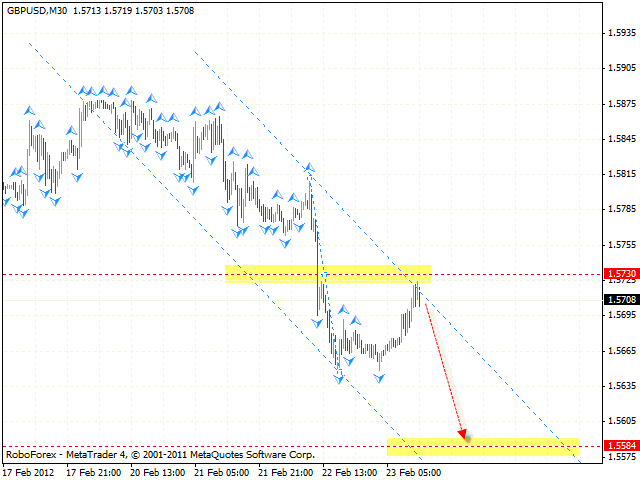 At the moment the pair is forming the descending pattern with the target in the area of 1.5584. The price is testing the pattern’s upper border, one can consider selling the GBP/USD currency pair with the tight stop. If the price leaves the channel, this case scenario will be cancelled. 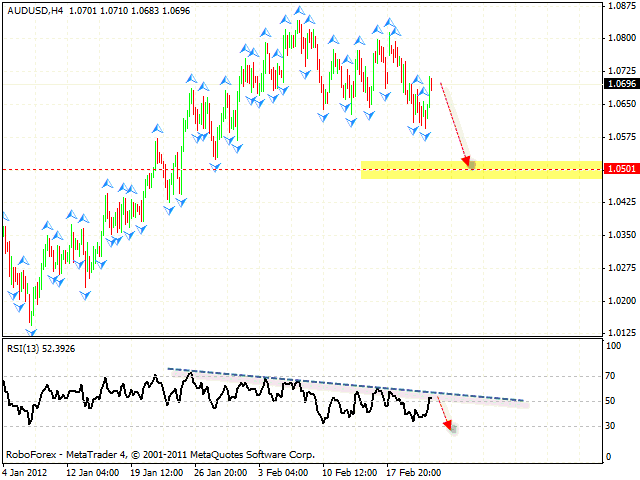 Australian Dollar is also being corrected, the RSI indicator faced the resistance from the trend’s descending line. One can consider selling the AUD/USD currency pair with the tight stop. 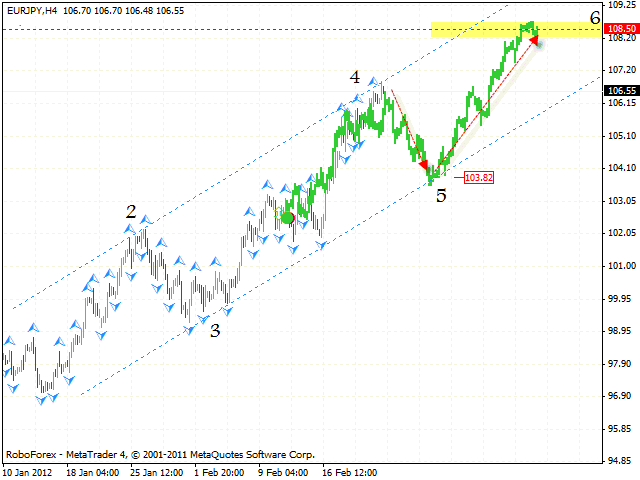 The target of the fall is the area of 1.0500. If the price grows higher than 1.0800, this case scenario will be cancelled. The EUR/JPY currency pair is moving inside the rising pattern. At the moment the price is forming the 4th pivot point, which is expected to be a starting point of the correction to the channel’s lower border in the area of 103.80. One can consider buying the pair near the lower border. The target of the growth is the area of 108.50.